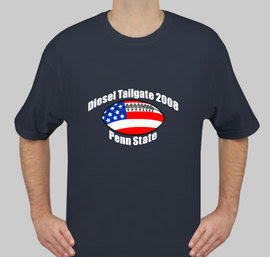 Order your 2008 Diesel Tailgating shirt(s). To order - contact Jess through the Facebook page OR shoot us an email and we'll forward your info to her. Orders must be in my 10/01/08 - so don't delay!